← A Lavender Latte Here, There and Everywhere in Detroit. Photo of the Week: Out on the Open Path to Sydney Harbour Bridge. 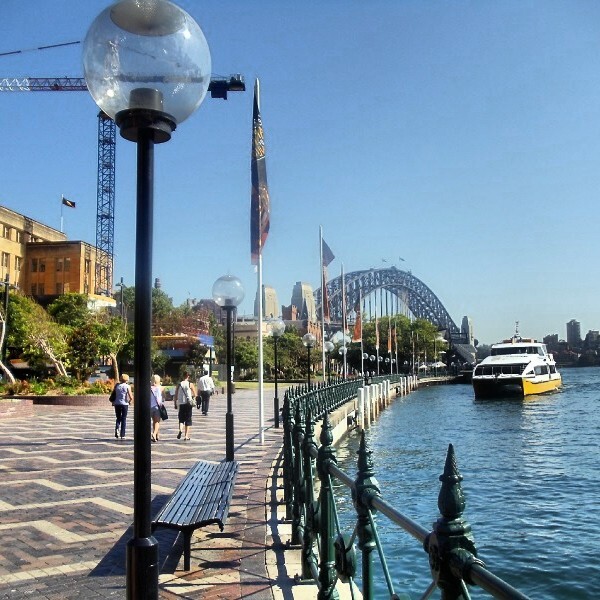 This entry was posted in Australia, Sydney, travel and tagged Australia, Harbour Bridge, Sydney, Sydney Cove. Bookmark the permalink. This is an excellent photo of this scene. I was drawn in right away from the Reader because of the lamp post then when I opened it was delighted to see a place I’ve visited, from a new perspective. Such clarity and crispness to the photo as well. It’s an excellent composition, IMO. Sydney is so gorgeous. Let us know if you visit any cocktail bars while you are there.